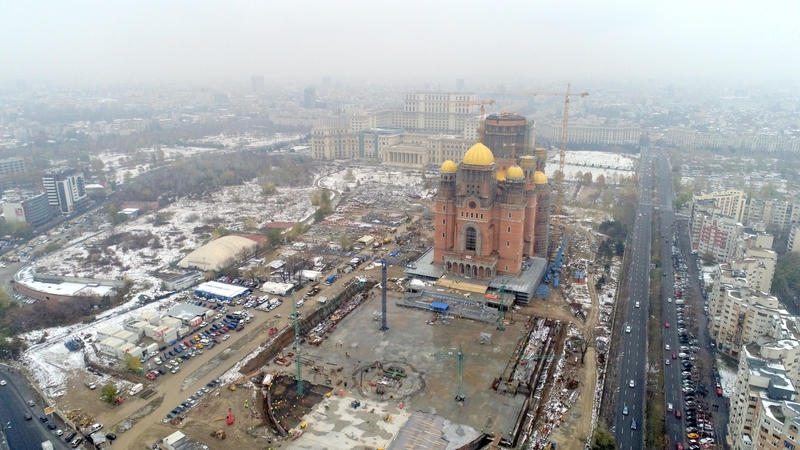 The Romanian Patriarchate has organized a series of manifestations on the occasion of the consecration of the National Cathedral. Please find below the full schedule of the events. 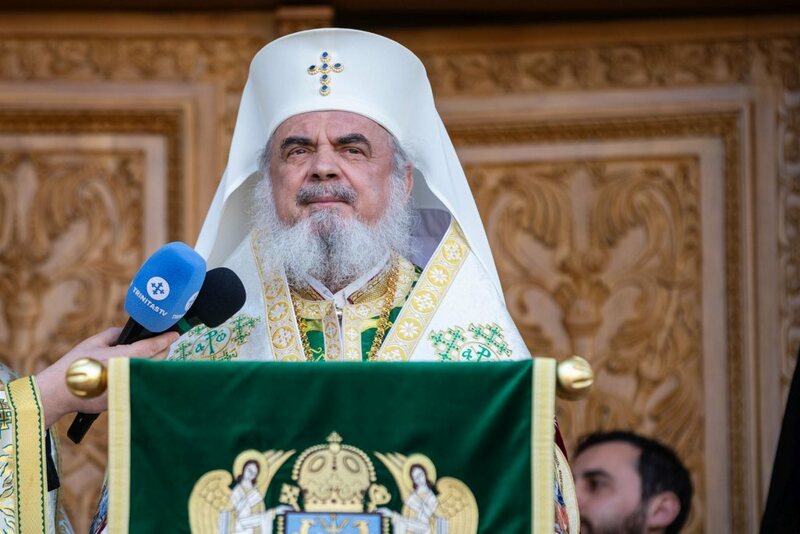 At 12.45 p.m., His Beatitude Patriarch Daniel will welcome His Holiness Ecumenical Patriarch Bartholomew, accompanied by a delegation of the Ecumenical Patriarchate, as well as a delegation of the Greek Orthodox Church, led by His Eminence Metropolitan Chrysostomos of Patra, at the Patriarchal Cathedral. 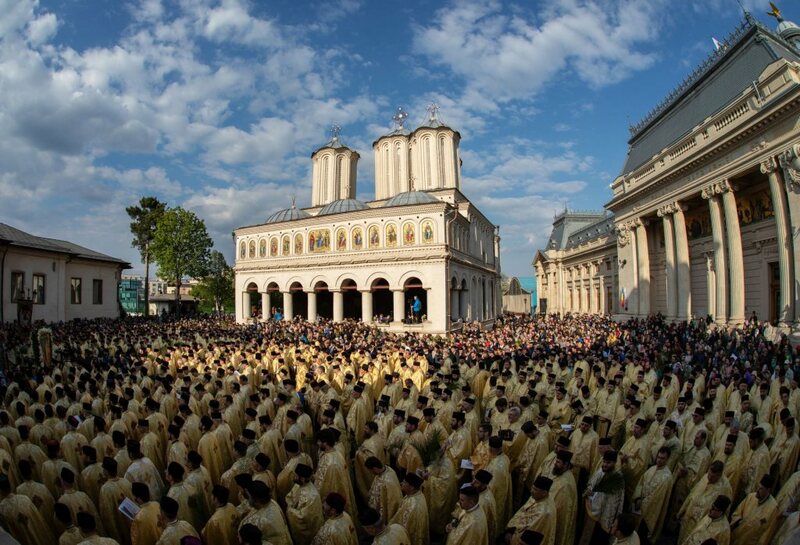 On this occasion, the Greek Orthodox delegation will bring a reliquary containing the Honourable Hand of Saint Andrew, the Protector of Romania. 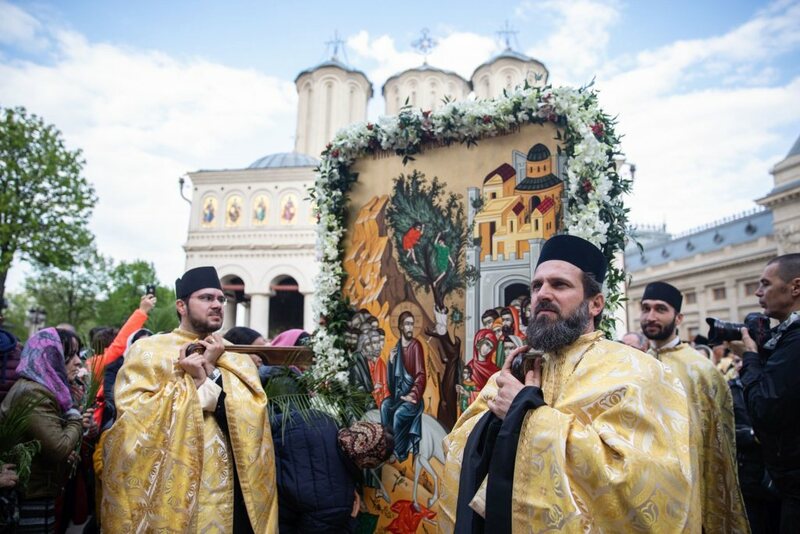 The reliquary will be enshrined at the Sts Constantine and Helen Patriarchal Cathedral until Saturday, at 16.00 p.m.
At 16.30 p.m., the reliquary containing the Honourable Hand of Saint Andrew and a second reliquary containing a particle of the holy relics of the Holy Great Martyr Catherine will be enshrined for veneration at the porch of the Romanian People’s Salvation Cathedral (13 Septembrie Ave, no. 4-60), where they will remain until Sunday, Nov. 25, at 13.00 p.m.
At 17.00 p.m., the Patriarch of Romania together with other hierarchs will officiate a memorial service to commemorate Romania’s national heroes at the National Cathedral. At 18.00 pm., at the Cathedral’s Chapel the All-night Vigil in honour of the Holy Great Martyrs Catherine and Mercurius will be officiated. 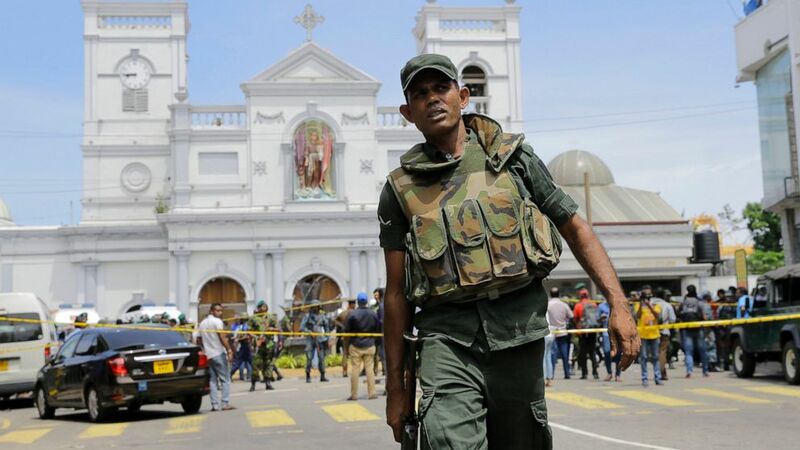 At 8.00 a.m., the Akathist Hymn to the Holy Great Martyr Catherine of Alexandria will be officiated at the National Cathedral, followed by the consecration service of the National Cathedral’s Holy Altar, which will begin at 9.00 a.m. Next, the Act of Consecration will be read out. 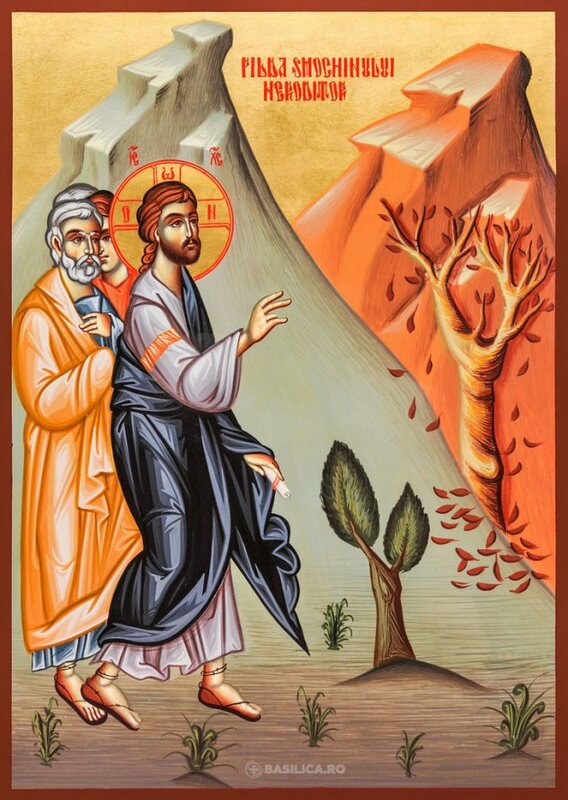 The Divine Liturgy will begin at 10.30 a.m. and will be celebrated inside the National Cathedral. At 13.00 p.m., the reliquaries containing St Andrew’s Honourable Hand and St Catherine’s holy relics will be placed at the Holy Altar’s exit in order to be available for believers after entering and venerating the Holy Altar. 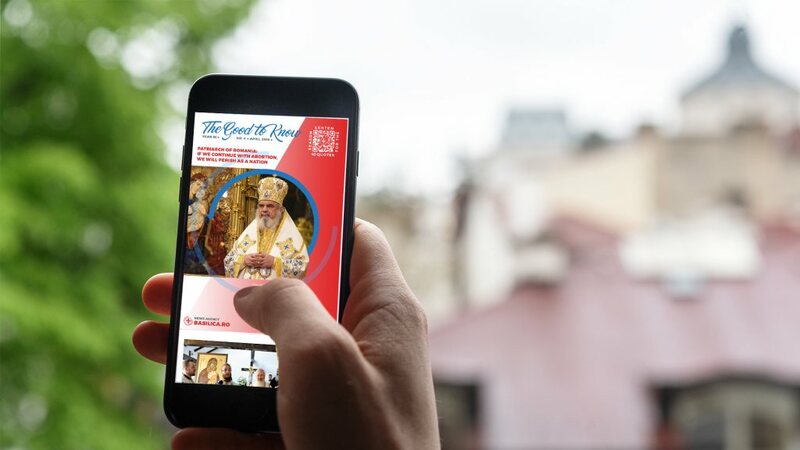 The believers who want to attend the consecration ceremony are welcomed at the National Cathedral’s Square, where they will be able to follow the Divine Liturgy on the specially mounted screens. According to the available interior space, the 2,000 official guests will have access to the Cathedral during the Divine Liturgy. At the end of the Divine Liturgy, all Orthodox pilgrims will have access to the Cathedral on the very day of the consecration (Nov. 25), as well as the following days (Nov. 26-29), having the opportunity to enter and venerate the newly consecrated Holy Altar. Sunday evening, at 18.30 p.m., the Tronos Byzantine Choir, the Representative Orchestra of the Romanian Army, and the Chisinau National Folk Orchestra ‘The Fiddlers’ will perform during an extraordinary concert organized by the Basilica Media Centre of the Romanian Patriarchate.